Warped Times: Pres3nt is a game developed in Game Maker 8, which is a simple but powerful tool for game development. Unfortunately, we're using an older version of Game Maker because the project is way too big to be ported to a newer version, so we are slightly limited in performance and features. The game contains stunning 1468 objects, which is more than we've ever had in any of our games. We're not quite sure at which point Game Maker would start to give up on us, but we hope that it survives the release of the game :D.
We haven't been using any custom resource management until now, which affected our older projects as well, as they were more demanding than they could have been. However, with this project it turned out to be a critical issue we had to start tackling. At the very beginning of the optimization process, the game would take over 800 MB of RAM, which caused very long loading times, and older computers with just 1 GB of memory wouldn't be able to run the game at all. Our solution involved splitting the resources (primarily the graphics) into multiple parts we load on demand and release when not needed, similarly to what other games do. As the result, the game's RAM requirements went down to about 460 MB, which is not quite ideal but still a noticeable improvement. Charts with declining values are usually frightening, but our chart of memory usage is an exception and brings good news both to us, and the players :). A lot of work has been done on logic and rendering optimizations as well. One of our programmers going by the name of chylex has marginally improved the performance of the game for older computers. We are also planning graphical options to allow players with very slow computers to enjoy our game too. EXPANSION OF THE WARPED TIMES UNIVERSE? 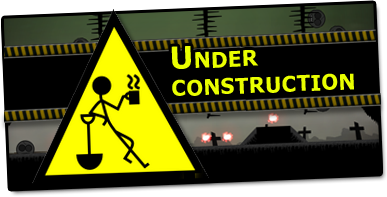 Release date is getting very close, and as we said, we are mainly focusing on bugfixing and optimizations. We still have many ideas and thoughts, however their realization would take a lot of time. We don't want to give up on those ideas yet though, so it is entirely possible that we will return to the game, and release a free content update, which would hopefully help the longevity of the game :). Our current quest is similar to the quest of our game's heroes. Whilst Tad and Green explore the planet ravaged by darkness and connect all the pieces of stone to save the world, we have to connect pieces of the game and make sure it can stand firm under the assault of players, that will find bugs and errors we would have never even imagined :D.
Fortunately for everybody else, the fate of the world is not in our hands. Still, if we cannot finish our "stone" in time, the shame and disappointment would have the same effect to us :D.
We can only hope that everything goes well, and we can present you our finished creation in a month and a half. Thank you very much for your interest and support :).